What's your favorite lazy meal? For me, anything egg-based whips up in a few minutes and and is so rich and satisfying. Plus, eggs are always in my refrigerator. I love them scrambled, baked, poached and fried. Onions, tomatoes transform an egg. A few of my favorites? 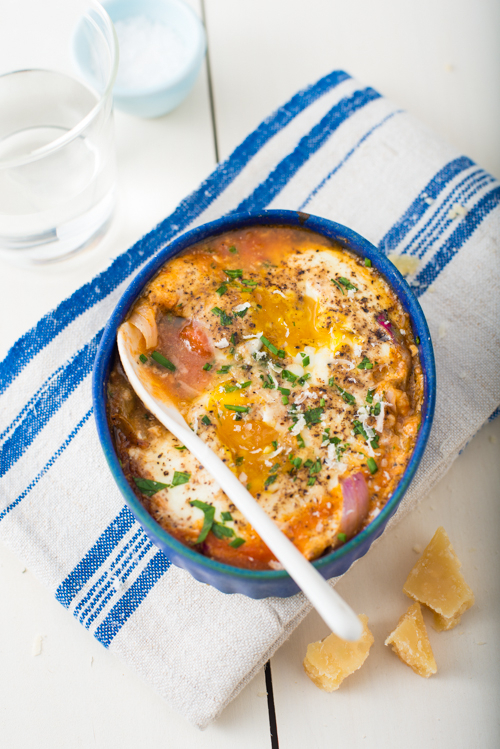 Baked eggs en cocotte - sauté onions with anything else on hand that appeals (kale, spinach, mushrooms etc.) Line a ramekin with sautéed vegetables, pour in a bit of tomato sauce (here I used some left over tomato soup from the previous recipe) or stewed tomatoes, pour in two cracked eggs, sprinkle yolks with a tablespoon of cream to prevent them from drying out, sprinkle with grated parmesan and fresh herbs plus some sea salt and cracked pepper and bake at 450˚ for 15-20 minutes until eggs are just set. Add some kick by including red pepper flakes in the sauté or finish with a bit of hot sauce. Scrambled eggs on toast. An idea inspired by my food stylist friend, Cynthia, who makes sprouted english muffins topped with raw vegetables (she includes grape tomatoes). Here I used spinach, honey mustard, a sharp cheddar and topped them with scrambled eggs (fried would be great as well). Such a great breakfast or light lunch. Last - a fun idea from a hotel in the Adirondacks I visited some years ago. Fancy scrambled eggs - perfect for New Year's day. Loosely scramble eggs, folding in a bit of crème fraîche or cream cheese as they cook. Off heat, add in some chopped chive. 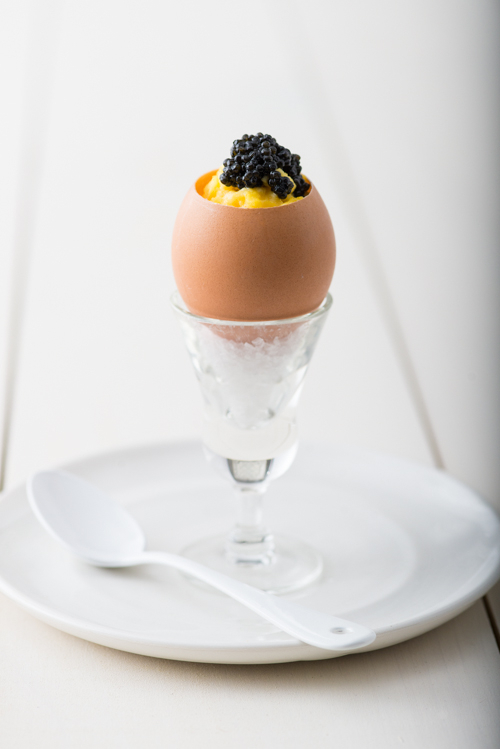 Spoon into prepared, cleaned egg shells and top with caviar. This is so pretty and decadent it will turn your eggs into the main event. How do you sheer off the egg tops? A trick - try this . It takes a bit of practice but once mastered, you can use this approach for creating chocolate-filled eggs for easter and all sorts of other crafty ideas. Use egg cups to serve or balance the eggs in cups filled with salt to hold them in place. I used vintage aperitif glasses in this image. What other recipes are your go-to egg favorites? It makes me hungry just looking at the beautiful photos! Eggs ... luscious eggs. This is really a gorgeous presentation. About once a week after a long work day, I great myself to what I call wrecked eggs. It tastes great with cheese, onions, tomatoes and thyme, but looks dreadful. You have inspired me to try this controlled baking recipe. Thank you. This is one of the most fulfilling blog posts I have read in a looooong time. 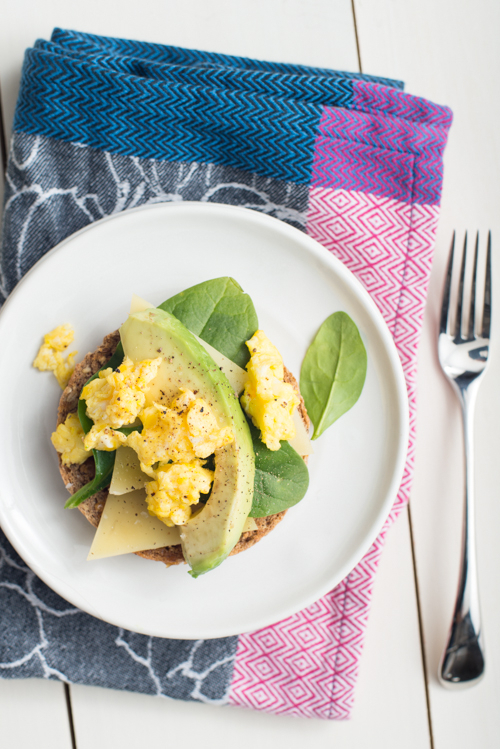 3 delicious and breath-takingly lovely looking egg recipes. Its like heaven on a plate... err... 3 plates! hahaha. Gorgeous clicks... Am definitely trying out all these recipes. Ok, maybe not the caviar one. But the rest for sure! Bellissime foto, chiare e luminose, troppo brava. Gorgeous photos, great tips and inspiring recipes. I don't know how you do it all with a son and a precious baby on the way. Your photographs really are amazing. Looking forward to future posts. Thanks!! !